I hate to tell you this but your hair looks like an Easter Egg! 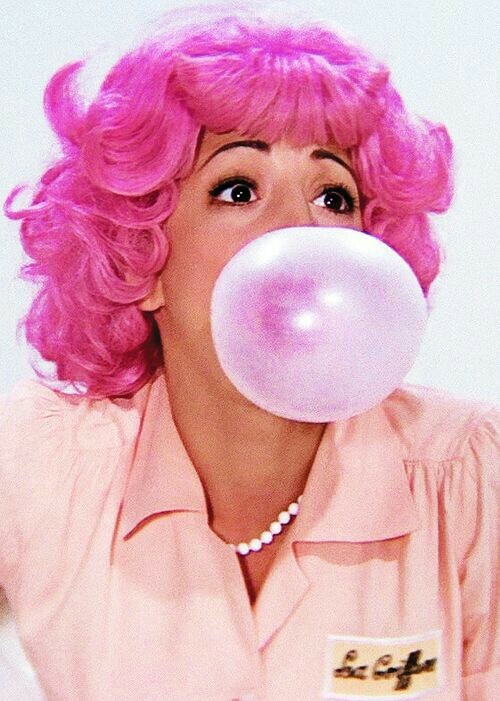 When it comes to hair Frenchy in Grease is my spirit animal! Just look at that pink! As far as I’m concerned Easter Egg is the best compliment you can get! Erstwilder recently launched a Grease inspired range of brooches and jewellery. I may have gone slightly overboard and bought 3 different designs but the one I was most excited about was “fun loving frenchy“. Annoyingly at first I couldn’t find her ANYWHERE. She sold out so quickly! Fortunately topvintage.net popped up in my Facebook feed a week later and she was still there! And so success! In honour of picking up Frenchy from the post office I had to wear something truly pink! And so this dress from lindy bop that has been languishing in my wardrobe since I bought it finally got an outing! And the pink striped shoes from Manolo Blahnik just screamed to be paired with it too. The hair was my first attempt at a proper brush out. Overall I’m pretty pleased as the idea was to make it look a bit like a fully grown Frenchy brooch! No bubble gum blowing though…that’d end badly! Next Post Taste the rainbow? Dress the rainbow!